NEWPORT BEACH, Calif., Feb. 1, 2018 — Swell Investing announced today that 150-year-old financial services company Pacific Life has to date dedicated $30 million to the company’s growth and development. Launched in May of 2017, Swell aims to provide a way for nearly anyone to invest in portfolios of companies innovating to solve major global challenges, such as access to clean water and renewable energy. Half of Pacific Life’s capital infusion, or $15 million, will support Swell’s business activities in 2018, including office space in Santa Monica and resources to develop innovative ways for investors to experience impact investing. These initiatives include providing ways for investors to explore Swell through mobile and providing new options for investors to discover and share the impact that they are achieving through their investments in Swell. Since launching in May of 2017, Swell’s investor base has grown to more than 3,000 and its assets under management (AUM) have grown to more than $16 million. 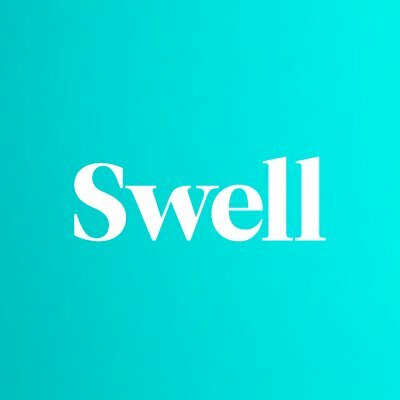 In addition to announcing its capital infusion from Pacific Life, Swell will be taking on a new company structure in 2018 and move to its own holding company, called Swell Investing Holding LLC. This structure change will provide the company with greater flexibility when considering future capital needs. Swell, an impact investing platform that aims to deliver profit as well as purpose, was built on the belief that today’s biggest challenges will result in tomorrow’s leading industries. Swell’s team identifies high-impact, high-potential companies that are focused on a positive future, making the information and investment opportunity widely available. Swell is an SEC registered investment adviser incubated by Pacific Life, a company that has 150 years of experience in financial services. Learn more at www.swellinvesting.com, facebook.com/swellinvesting, twitter.com/swellinvesting, instagram.com/swellinvesting, linkedin.com/company/swellinvesting, blog.swellinvesting.com. Celebrating its 150th anniversary in 2018, Pacific Life provides a wide range of insurance products, annuities, and mutual funds, and offers a variety of investment products and services to individuals, businesses, and pension plans. Pacific Life counts more than half of the 100 largest U.S. companies as its clients. For additional company information, including current financial strength ratings, visit www.PacificLife.com. Pacific Life refers to Pacific Life Insurance Company and its affiliates, including Pacific Life & Annuity Company. Client count as of June 2017 is compiled by Pacific Life using the 2017 FORTUNE 500® list. Swell Investing LLC is an SEC-registered investment adviser. Brokerage services provided to clients of Swell Investing LLC by Folio Investments, Inc., an SEC-registered broker-dealer, and member FINRA/SIPC. Investments: Not FDIC Insured * No Bank Guarantee * May Lose Value. Investing in securities involves risks, and there is always the potential of losing money when you invest in securities. Please consider your objectives and Swell’s fees before investing. Past performance does not guarantee future results. Investment outcomes and estimates are hypothetical in nature. Not an offer, solicitation of an offer, or advice to buy or sell securities in jurisdictions where Swell is not registered. Registration does not imply a certain level of skill or training. Please visit our website for additional information: www.swellinvesting.com.